"Include at least 3 ways you will use technology when teaching a lesson, and include a specific example." This software is very similar to iMovie, except it can be edited online as well as on an iTunes app available for iPad. 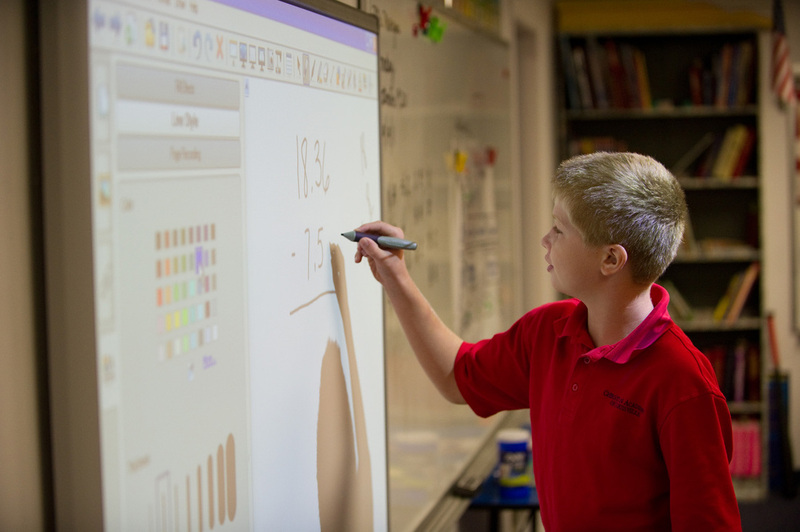 Utilize your school district's technology to its fullest extent! Whether you have SMART Boards in your school or you have PowerPoint installed on your computer, there are hundreds of resources that you can use to engage students with simple games. Teaching geography? Try some Jeopardy-style games with categories like "Lakes and Rivers," "Mountains," and "Parts of a Map." How about state names and capitals? Memory games are easy to create on PowerPoint and Quizlet can help with interactive flash cards! Ever have that concept that you're having difficulty presenting? The United States Electoral College system and the Debt Limit are difficult for even adults to understand and you're going to try to teach it to middle schoolers? How about the difference between the United Kingdom, Great Britain and England? Luckily, channels like CGPGrey, The Oxford Observer, and VSauce exist for just that reason: to simply explain a complex concept, often in under 10 minutes. Unfortunately, many teachers either don't know these tools are here at their disposal or they simply can't access them due to their school's firewalls. Here's a safe non-YouTube alternative! TeacherTube includes thousands of kid- and teacher-friendly videos without the fear of navigating to an unsafe page. Free class websites in a jiffy. Weebly for Education allows teachers to create extensive classroom websites, allowing them to engage their students in a drastically different manner. Post your homework every night on your very own blog, attach helpful YouTube videos to help understand math homework (or TeacherTube videos), collect assignments, and keep your parents up to date. Weebly also gives you the ability to create student accounts under which they can make their own sites. It comes with its powerful WYSIWYG editor which is easy for students and teachers alike to learn.